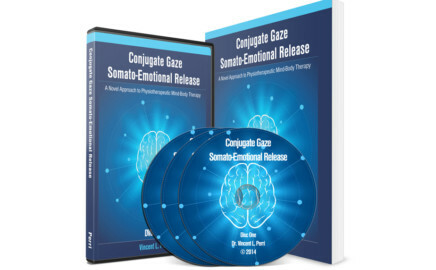 Conjugate Gaze is a revolutionary technique for releasing pain using primally wired reflexes. Click the play button to the right for a short introduction video. 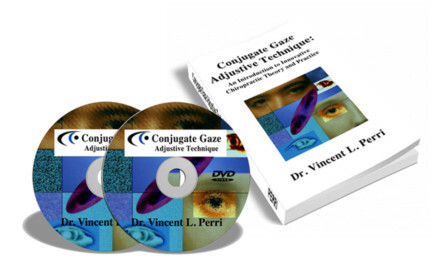 Watch as Dr. Perri personally guides you through how Conjugate Eye movements can have lasting effects on your patients…today! Dr. Perri demonstrates how eye movements and patient- assisted postures can be used to correct vertebral subluxations, somatovisceral and viscerosomatic abnormalities. The video demonstrates the techniques and included text discusses the neurological pathways activated in the applications. 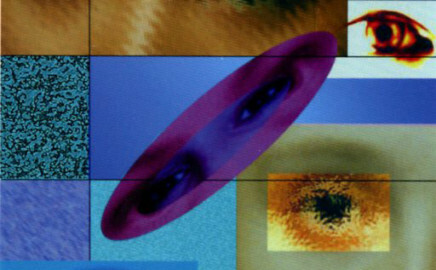 He fully explains how visual fields and cerebral hemispheres are linked and how this information can be applied chiropractically. Includes information on patterning specific chiropractic adjustments for long-term corrections using 4 different types of neuromuscular retraining. Dr. Perri demonstrates how to monitor vasomotor mirror activity during viscerosomatic corrections, and discusses DeJarnette’s CMRT profiles in the context of the Conjugate Gaze Adjustive Technique. A special chapter in the text includes how to activate global mechanisms in chiropractic corrections, and how verbal cues and speech can be used to activate specific hemispheric responses. Vincent L. Perri is a doctor of chiropractic and a doctor of philosophy. He manages a full-time chiropractic practice and is certified in clinical psychotherapy. He is a former member of the C.G. Jung Institute of New York, and authored a neuropsychological text titled, Language of the Archetype. Since 1994 Dr. Perri actively researched the use of eye movements and body postures in personality development, and recently authored a psychological novel. He can be reached at vlpdc@aol.com.